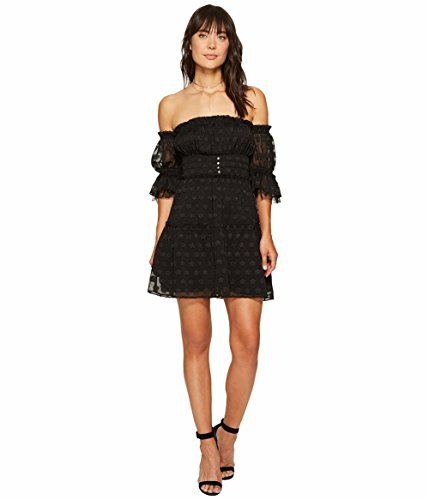 This shoulder-baring For Love & Lemons mini dress is accented with bright crystals and a flocked floral pattern. Elastic neckline. Half sleeves with elastic cuffs. Hidden back zip. Lined.